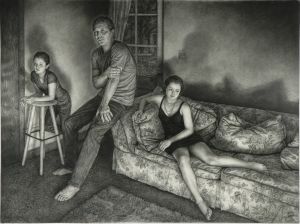 Payne Gallery at Moravian Collage, and two New York City exhibitions at Tatistsheff Gallery. His drawings have been exhibited in cataloguesupported shows across the US. Reviews include The New York Times, Philadelphia Inquirer, and American Arts Quarterly.